Visit four of the most religious and historic towns in Portugal on this full-day tour from Lisbon. Discover the well-preserved medieval city of Obidos and learn about its beautiful royal past. Explore the sanctuaries of Fatima and Batalha to learn about the significant events that occurred which made them into pilgrimage sites. 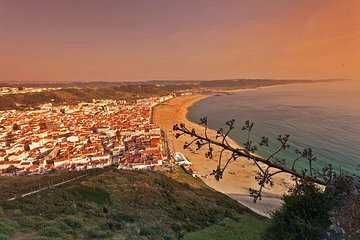 Then admire the beautiful views of the Atlantic Ocean at the quaint fishing village of Nazare.